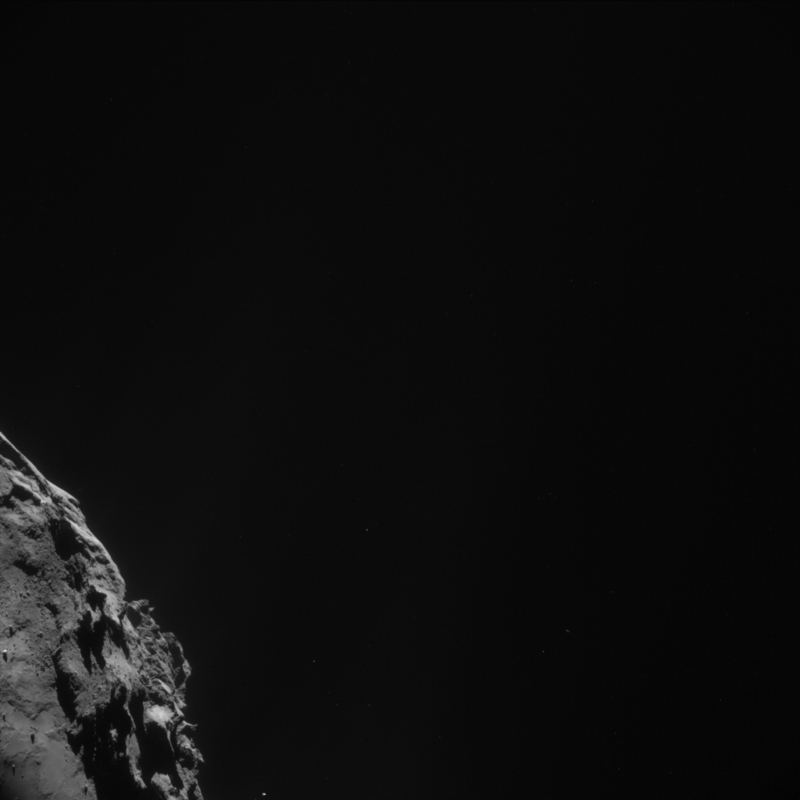 Full-frame Rosetta navigation camera (NAVCAM) image taken on 20 November 2014 at about 30.8 km from the centre of comet 67P/Churyumov-Gerasimenko. NAVCAM image sequences are now being taken as small 2×2 rasters and only part of the comet is seen in each of the four images. A mosaic of all four images stitched together is available here.